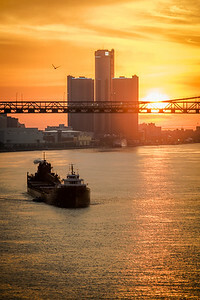 Taken in the summer of 2015 from "Sunset Pointe" at Belle Isle. 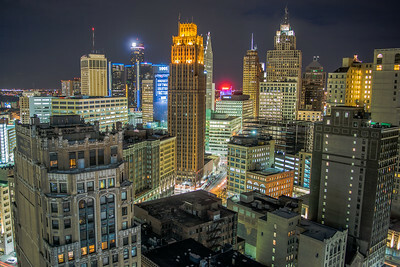 Taken in Feburary of 2016 from the Penobscot building looking down on Downtown Detroit, facing north featuring a look down Woodward, Comerica Park, Ford Field, The David Stott Building, 1 Campus Martius, 1001 Woodward, and the Broderick Tower. 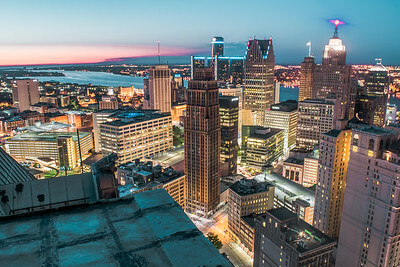 Taken in Summer of 2015 from the roof of the abandoned Book Tower featuring the Detroit Skyline and Windsor across the river. 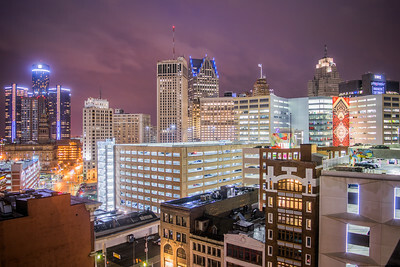 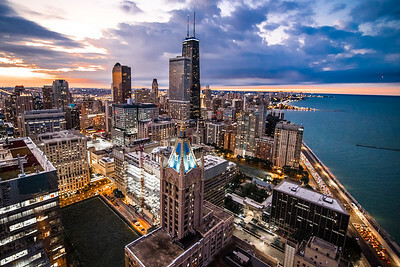 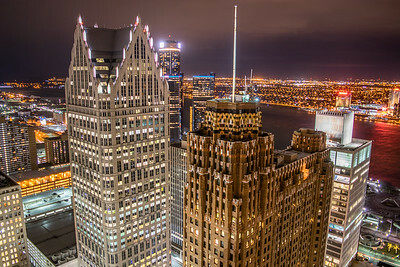 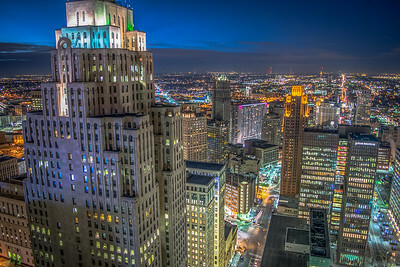 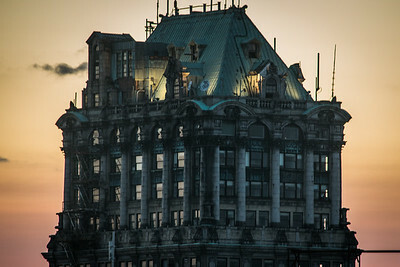 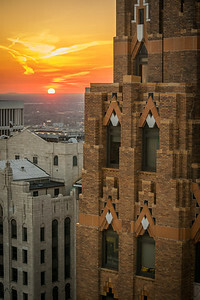 This image was taken from the roof of the Guardian building in January of 2016 just after sunset. 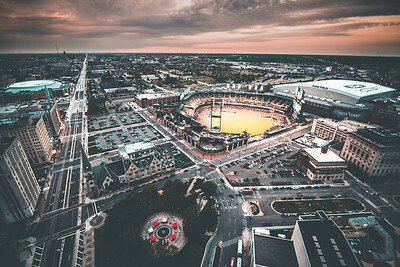 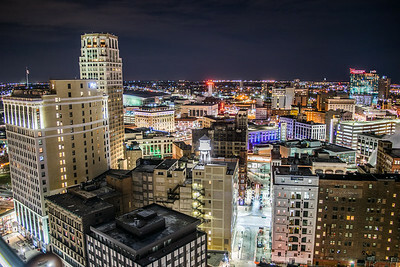 This image was taken in the Spring of 2016 from the roof of the abandoned Harvard Plaza building on Broadway in Downtown Detroit. 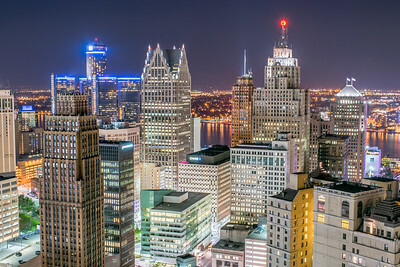 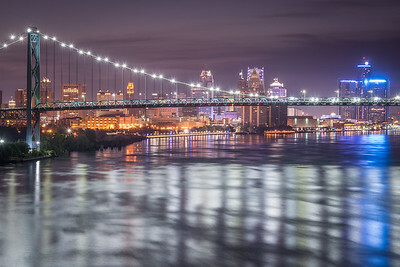 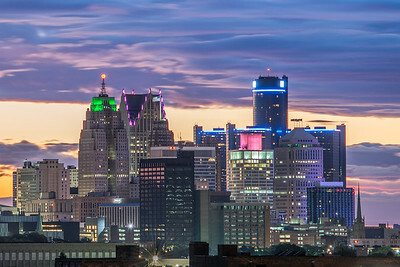 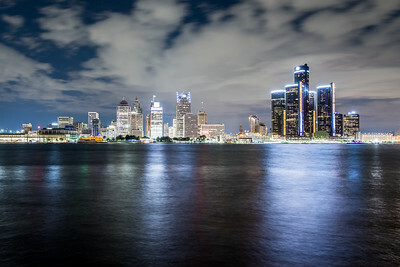 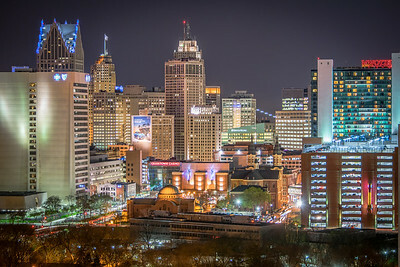 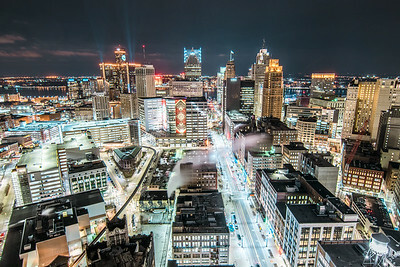 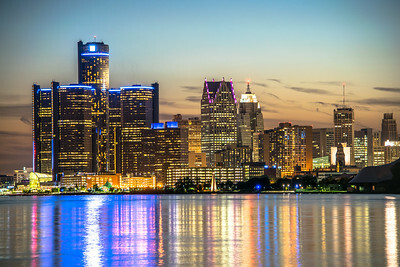 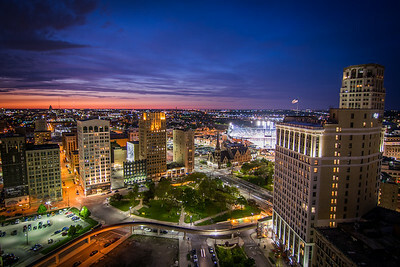 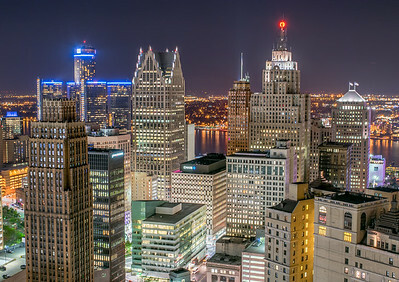 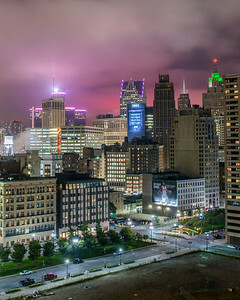 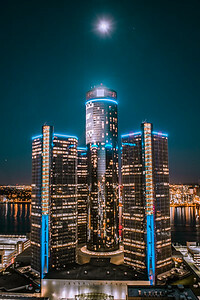 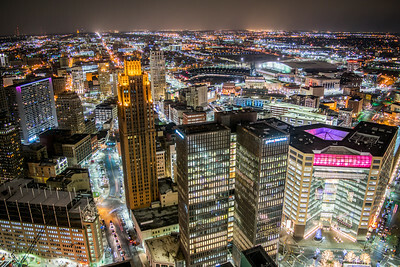 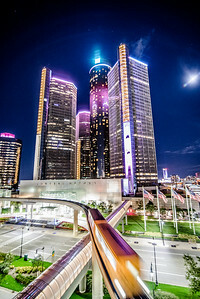 A photo of the Detroit Skyline at night taken from the roof of the Detroit City Apartments. 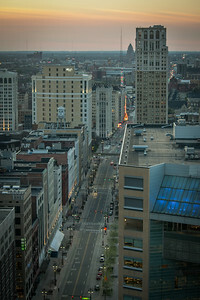 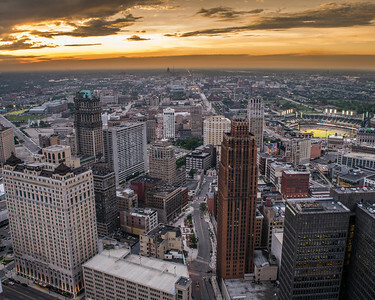 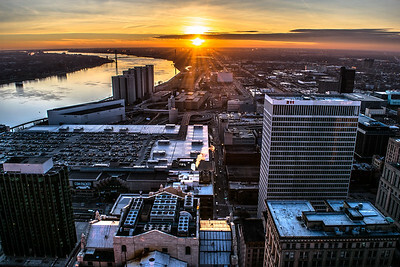 Looking north at Detroit at sunset from the roof of the Penobscot building. 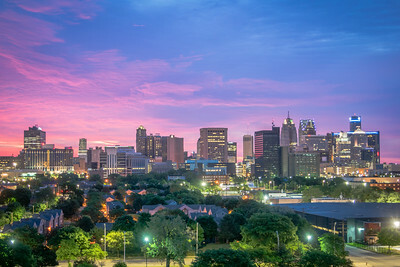 This image was taken from the roof of a building in Southwest Detroit at sunrise in the Summer of 2015 on the morning of the Super Moon. 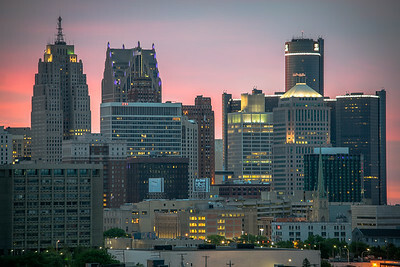 This image was taken in Spring 2016 from the roof of the Detroit City apartments and looks east on Downtown Detroit. 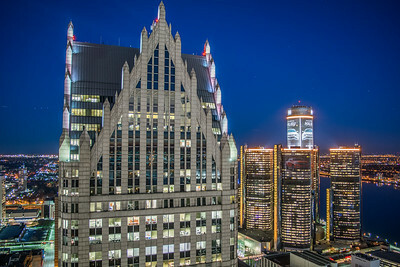 This image was taken in January of 2016 just after sunset from the roof of the guardian building in Downtown Detroit. 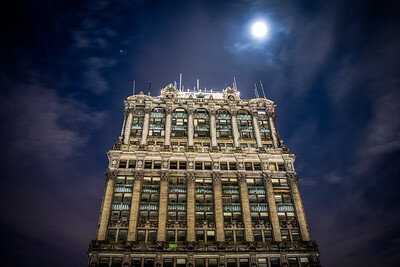 This image was taken in Spring of 2016 looking up at the abandoned Book Tower on Washington Blvd in Detroit featuring the amazing architecture of the building with the moon shining above it. 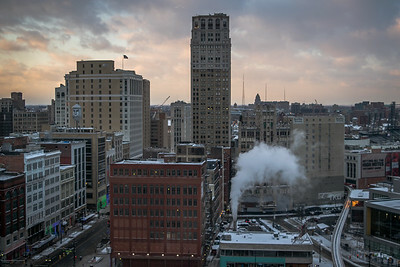 This image was taken from the roof of the Guardian building in Downtown Detroit at sunset in January of 2016. 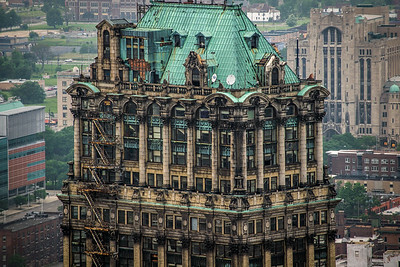 This image is a close up view of the iconic Book Tower that features the amazing Renaissance Revival and Neoclassical architecture that is unlike any other in the city. 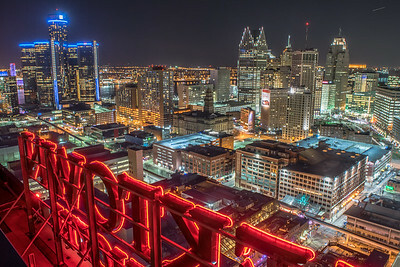 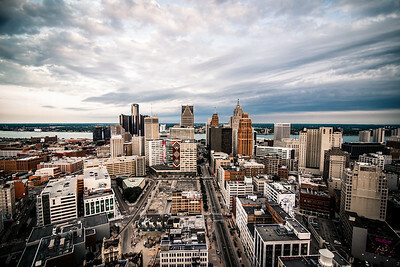 This image was taken in the spring of 2016 from the roof of the Greektown Casino / Hotel and looks over Downtown Detroit. 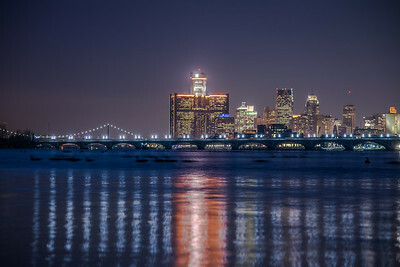 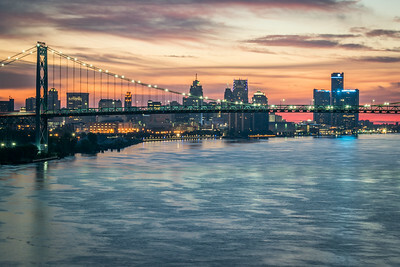 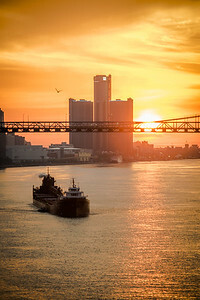 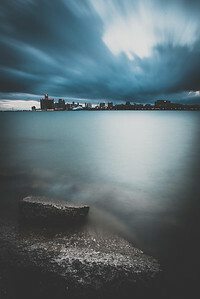 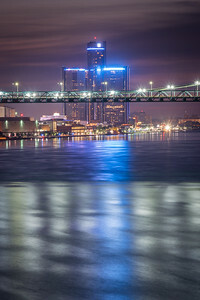 This image was taken in the winter of 2016 from Belle Isle Beach and looks over the Detroit River, The MacArthur Bridge, with the Detroit Skyline and the Ambassador bridge in the background. 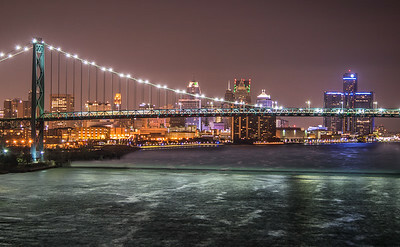 This photo was taken on Christmas Day 2015 from the roof of the abandoned Boblo Boat Terminal located west of the city right on the riverfront. 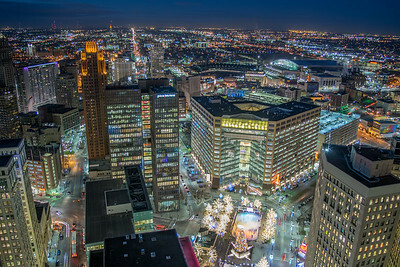 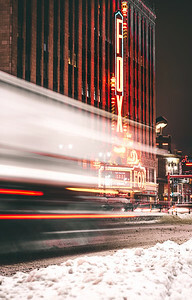 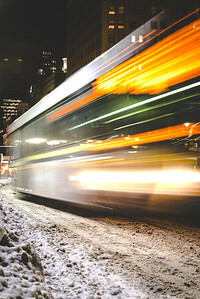 This image was take in the Winter of 2016 from inside of the Compuwear building and looks north over Merchants row and Woodward Ave. 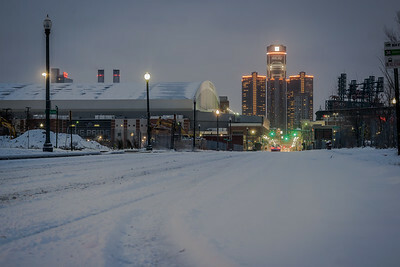 This image was taken in the Brush Park neighborhood in Downtown Detroit after a fresh snowfall in January of 2016 on Brush St. 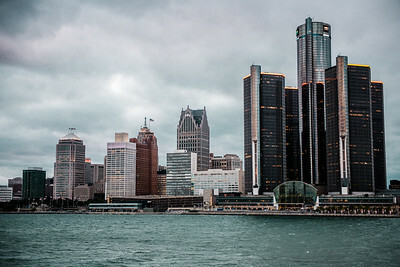 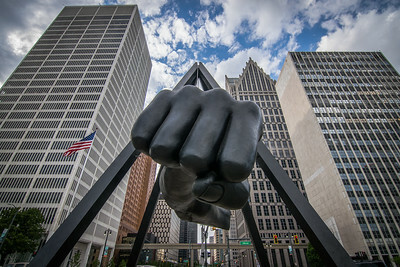 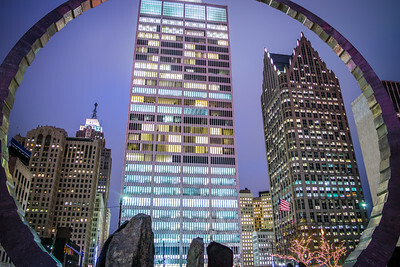 This image was taken from Hart Plaza on February 2nd 2016 and features the One Woodward building (Middle), Detroit One Center (Right) and the Penobscot building in the background.